Why The Name Gaia Sagrada For This Ayahuasca Retreat Center? Gaia is a very old name for Mother Earth, or Mother Nature, and that is why we used Gaia Sagrada as the name or our ayahuasca retreat center. In Greek mythology, Gaia birthed many of the major Gods who ruled over different sections of the Earth. Gaia is known as the nurturer, sustainer and giver of love to all who come to the goddess for support. She is known as the spirit of the Earth, plants, rocks and water and when you are blessed with darshan from nature, it is Gaia blessing you. Sagrada means “sacred” in Spanish, and of course our mother is sacred! Gaia Sagrada is the perfect name for our ayahuasca retreat center and eco-community (eco-village) because we strive to be one with Mother Nature and live harmoniously on the Earth, which is a sacred being. 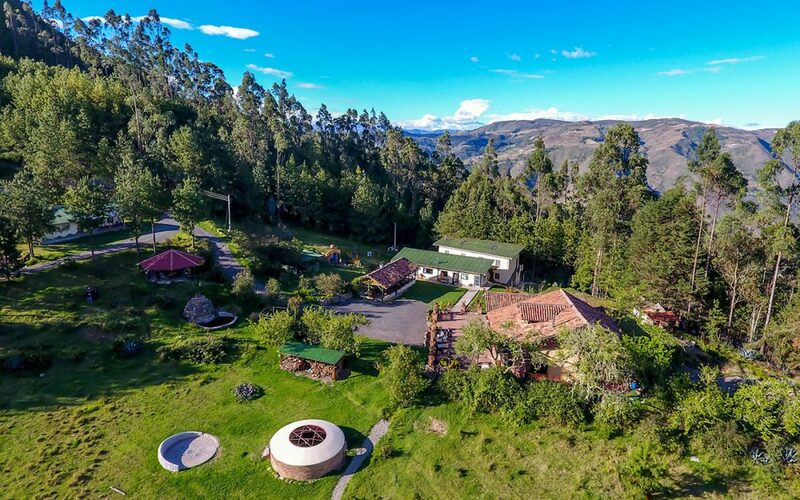 It is also the perfect name because this is an ayahuasca retreat center of support and nurturing amidst natural beauty near Cuenca, Ecuador. Gaia Sagrada Ayahuasca Retreat Center is nestled in a small community called Llayzhatan (Yay-zat-an) in the Andes Mountains, very close to Jadan (Ha-dan) which means “Close to Heaven.” What a perfect place for exploring ayahuasca retreats and San Pedro retreats with authentic Ecuadorian shamans! Ecuador is quickly becoming a new destination for ayahuasca retreats in South America. Spirituality at Gaia Sagrada Ayahuasca Retreat Center is varied and we honor all paths. 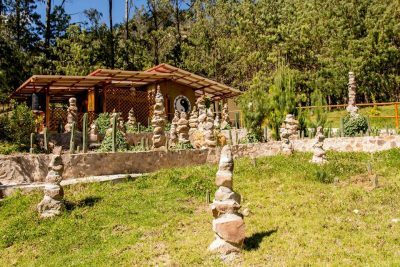 You are not required to adhere to any specific religious or spiritual beliefs to visit Gaia Sagrada Ayahuasca Retreat center. You are able to be yourself! Ayahuasca retreats are open to all religions. The Ecuadorian ayahuasca shamans and Ecuadorian San Pedro shamans speak both English and Spanish, which is very rare at an ayahuasca retreat center in Ecuador or even Peru. Speak directly to the ayahuasca shamans and San Pedro shamans in your own language (if it is English or Spanish). Ayahuasca Retreats and Ayahuasca Ceremonies with authentic Ayahuasca shamans. San Pedro Retreats and San Pedro Ceremonies with authentic San Pedro shamans. Meet Ayahuasca Shamans and San Pedro Shamans who speak both Spanish and English. Ayahuasca Retreats from the world in the magical Andes Mountains of Ecuador. Watch the hummingbirds, forests, pastures, and butterflies. Partake in the nectar of flowers while you are sitting in sunny gardens. Take a day hike to the nearby waterfall. Gaze at the milky way, distant planets, and galaxies. Comfortable, modern housing so you can focus on your inner journey. Relax in beautiful nature meditation spots everywhere on the land, or take a day trip into the city of Cuenca, Ecuador to see the historic sites. Cuenca is only a 45 minute ride away from Ayahuasca Retreats center . If you are coming for community living at an ayahuasca retreat center, you will find a beautiful model in action. Eco-practices are widely used and you can learn something for your own building endeavors in the future. You can even build your own small house near Ayahuasca Retreats center if you decide you want to stay. Check out our Build it Forward program, a much cheaper and safer way to live in the country in the Cuenca, Ecuador area. People here are living in a stress free environment, separated from the world, in a way that is rare and hard to find while the magic of ayahuasca retreats sets the energy. 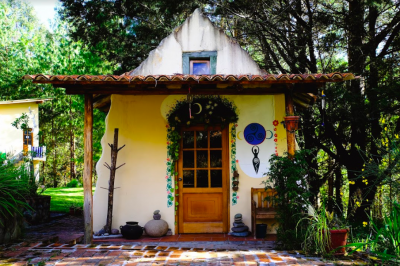 Whatever you find nurturing and adventurous for your consciousness and spirit, you will find it here at this heavenly organic eco-village and ayahuasca retreat center! Ayahuasca, iowaska, or yagé , is an entheogenic brew made out of Banisteriopsis caapi vine and other ingredients. The brew is used as a traditional spiritual medicine in ceremonies among the Indigenous peoples of Peru and Ecuador. Welcome to Gaia Sagrada Ayahuasca Retreats and San Pedro Retreat Center ! I hope to connect with us here in alex Egypt to introduce your school ..
Christine, Do you still Have availability slots for Oct? Please contact us through the contact page, and then it will go to the right person to answer your question! Us web people approving comments don’t handle reservations. Just contact us on our contact page and someone will get back to you right away! Quicker that way! I am hesitant to drink the ayahuasca tea because i was told that medically i have to be careful of ingesting anything like that. can i still come and enjoy my time with you?